Every elegant event deserves a fancy invitation! This invitation card features classic golden swirls and designs on a cream background, a combination that speaks of sophistication and class. 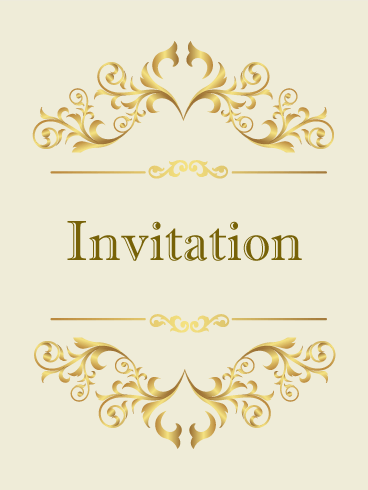 Whether you are planning an extravagant fundraiser, a classy birthday party, or intimate dinner gathering, this invitation card is the perfect way to send an invitation to your guests for your sophisticated event. 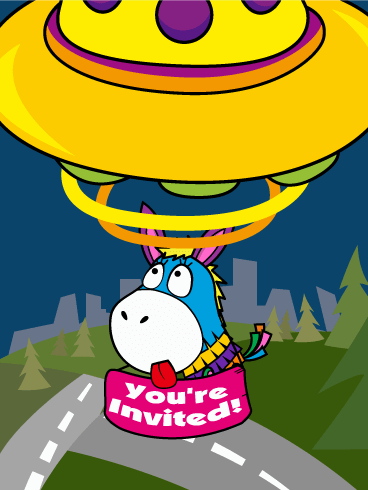 Receiving an invitation to a fun party or event is one of the best feelings in the world! 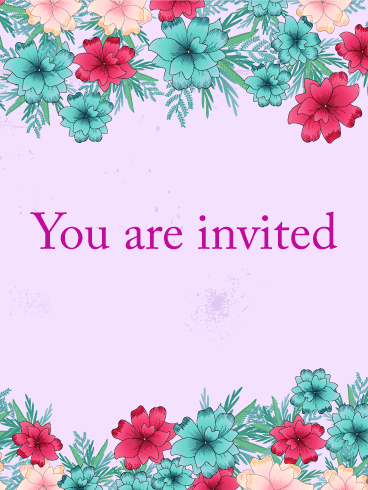 If you are in need of a beautiful invitation card to send to guests for your event, use this Red & Blue Flower Invitation card! The flowers and blue, red, purple, green, and pink colors make this the perfect card for a girl’s night out, birthday party, or fun get-together. You're going to the chapel and you're going to get married! A weddings is the biggest and most important event in a couple's lives. 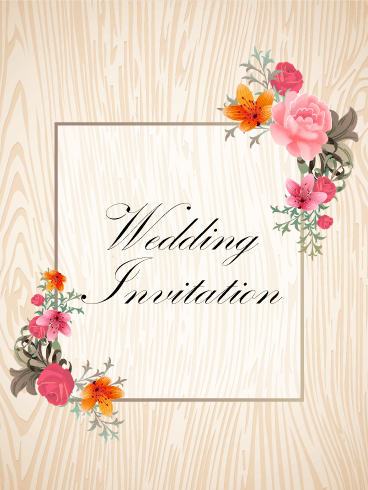 To make sure your wedding gets off to the right start, you need the perfect invitations. This elegant wedding invitation will set a romantic, sophisticated mood and get your guests excited for your special day! Don't delay - send your invitations out today! Happy Birthday! Your special day only comes once a year, so make sure your birthday party is one to remember! As you plan your birthday bash, start off by inviting the friends and family who are closest to you. This invitation, decorated like a birthday present, is the perfect way to send event details to your guests. 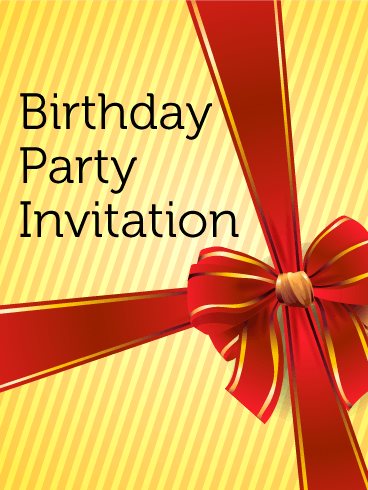 Start your birthday off right by sending this party invitation to your loved ones! When you were a kid, piñatas were the best part of any birthday party. Getting to take a swing at the brightly colored decoration and watching the candy fall was the highlight of your day! Whether you are planning a birthday party for your child or holding a fun-filled bash for yourself, this invitation card will tell your guests that it will be a party to remember!